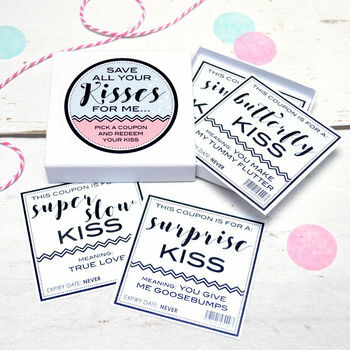 A cute little box of kiss tokens to give to your boyfriend or husband on his birthday or anniversary. 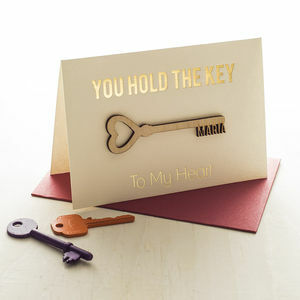 Pucker up and get kissing. 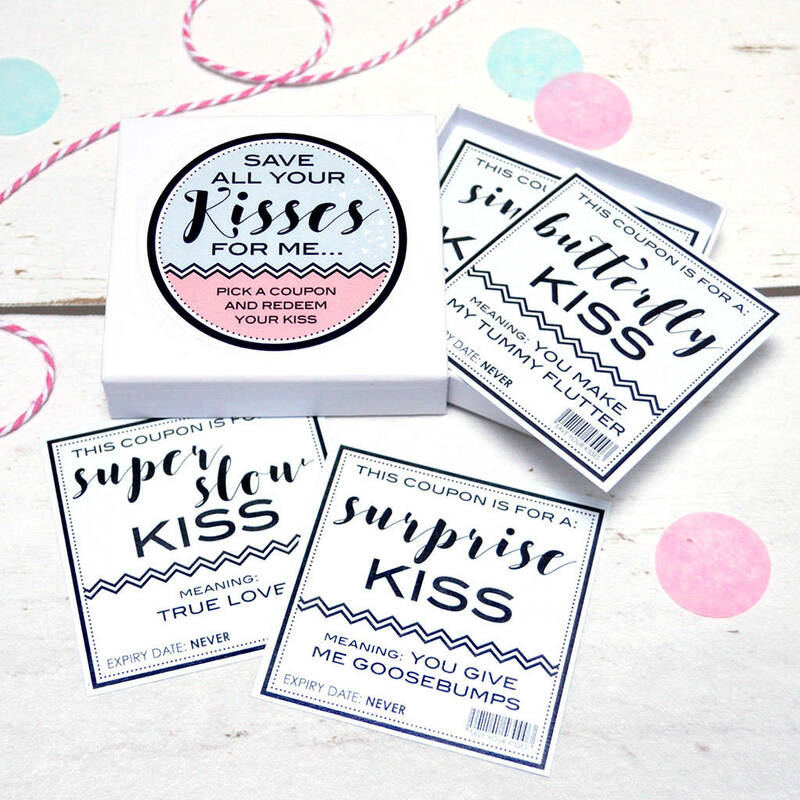 This little box of ‘Save all your Kisses’ is the perfect gift to give to your boyfriend, husband or loved one on his birthday or your anniversary. 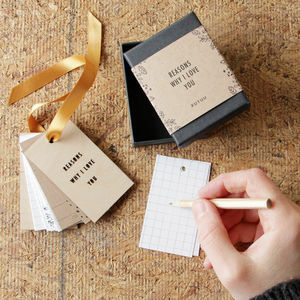 Each box contains twelve ‘Kiss Coupons’ which have a ‘Kiss’ and the meaning behind each kiss printed on beautiful pearlescent card. 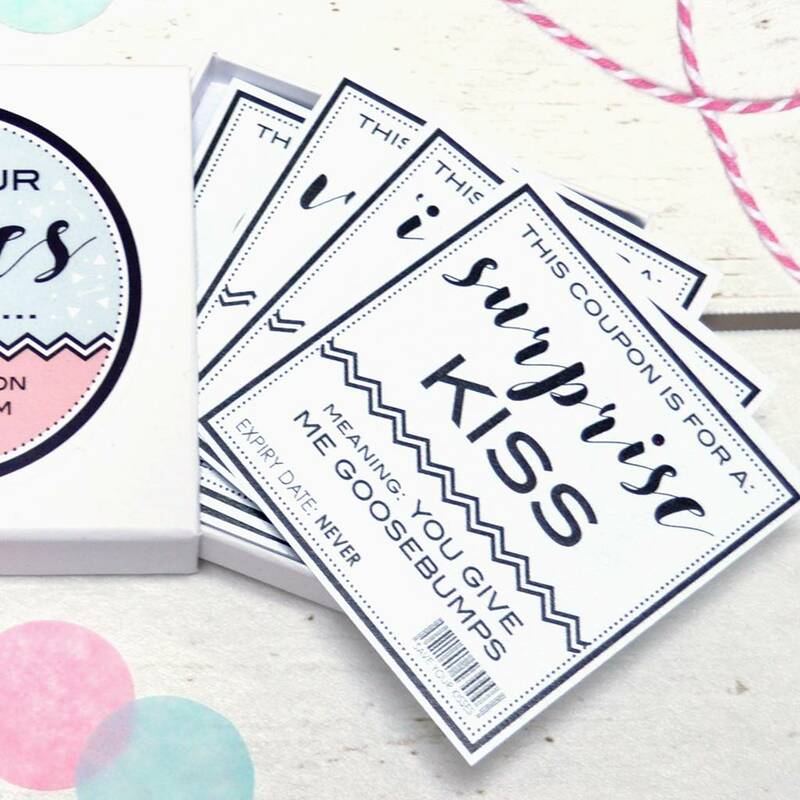 Whenever your partner feels in the mood to get a kiss they can choose a coupon from the box and pucker up. 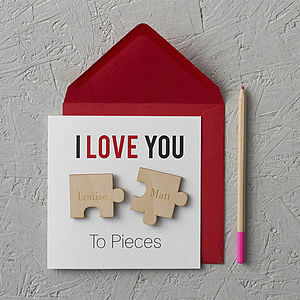 It’s sure to bring a few giggles, especially when you try the tricky and unusual ones! 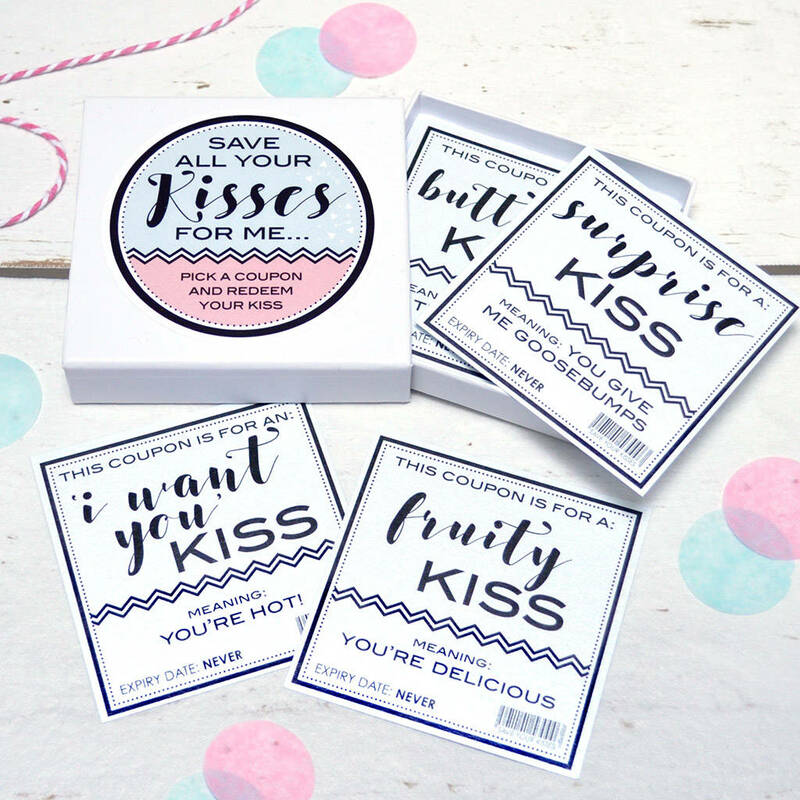 This lovely set of Kiss Coupons is packaged in a white box and inside there are 12 little cards printed on pearlescent card, making it a truly lovely Valentines gift. 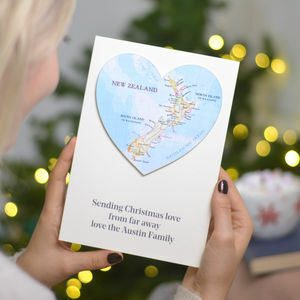 This product is dispatched to you by Eskimo Kiss Designs.